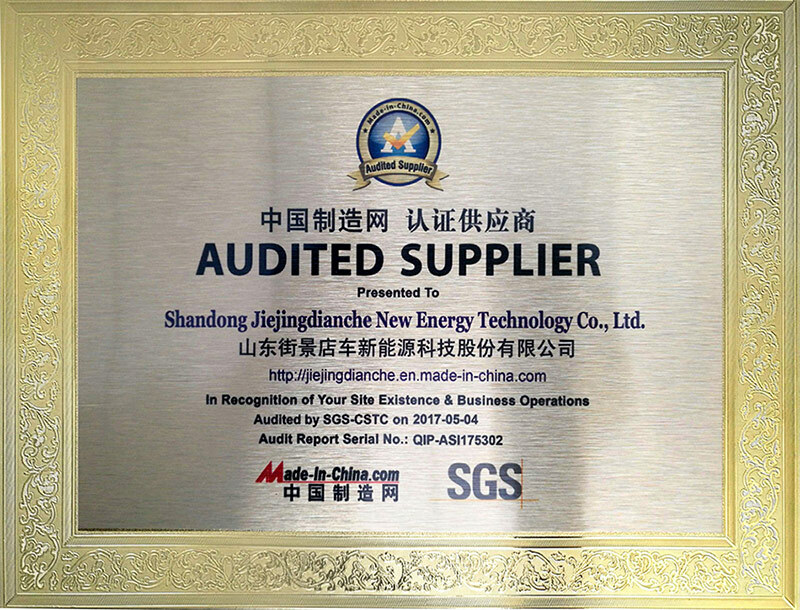 Company Overview - Shandong Jiejingdianche New Energy Technology Co., Ltd.
2YRSShandong Jiejingdianche New Energy Technology Co., Ltd. 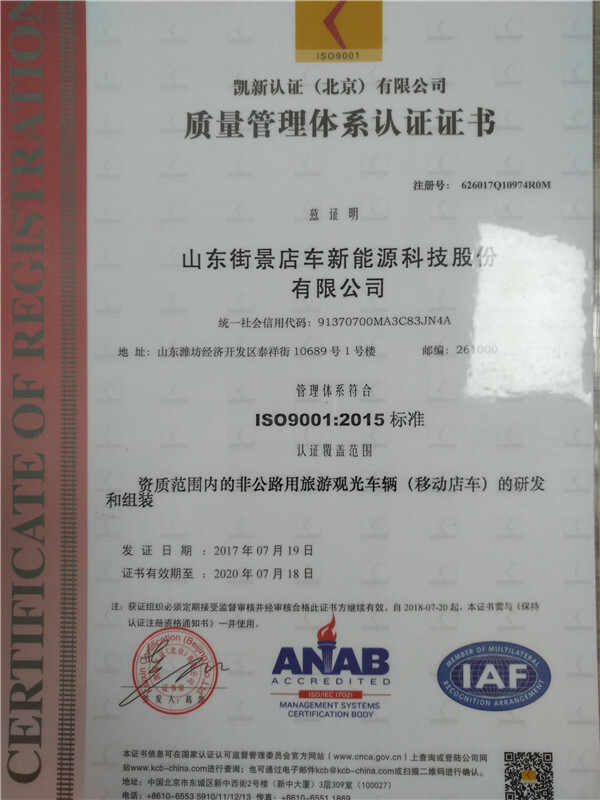 The pioneer and leader of mobile shop industry, biggest dinning car manufacturer in China, the first draft maker of industrial standard, products are sold across china and more than 30 foreign countries. 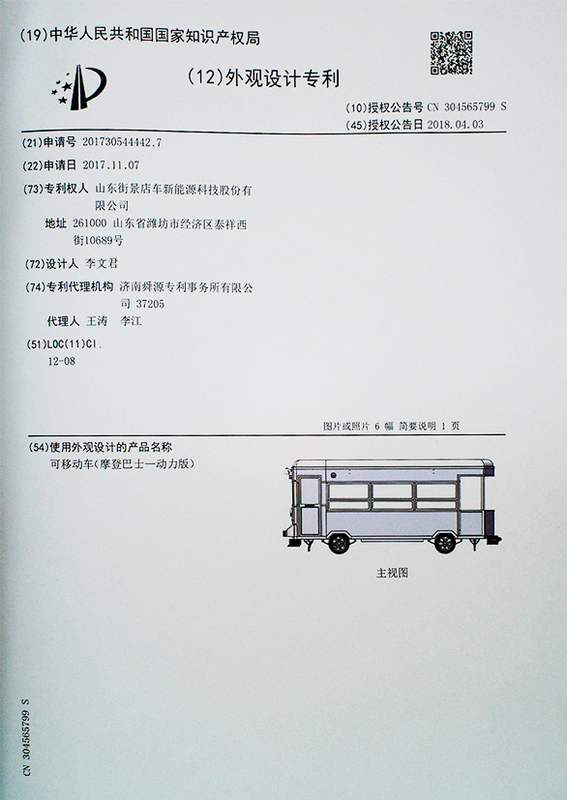 Company integrates R&D, design and production, specialized in customizing more than 10 types of dining cars, fruits and vegetables cars, exhibition cars and pop-up shops and more than 200 types of mobile shops. 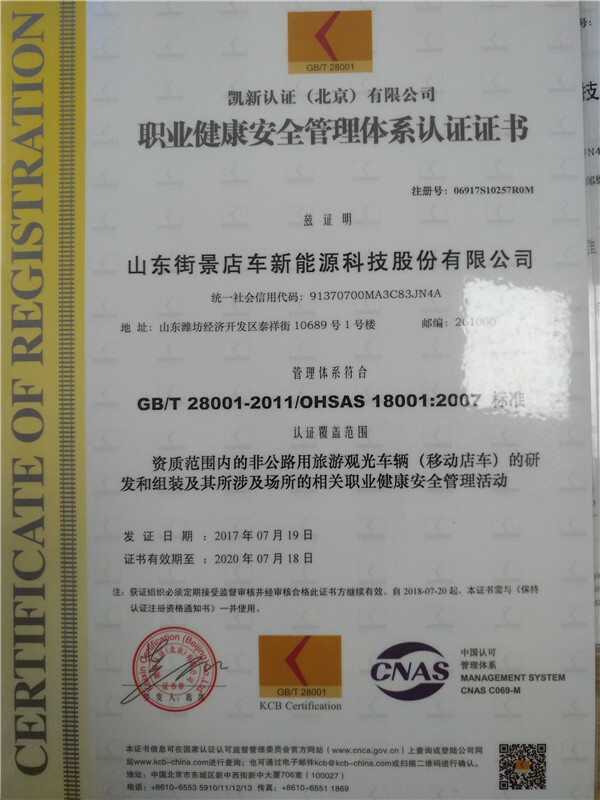 R And d and assembly of off-road sightseeing vehicles (mobile shop vehicles) within the scope of qualification and related OHSAS management activities. 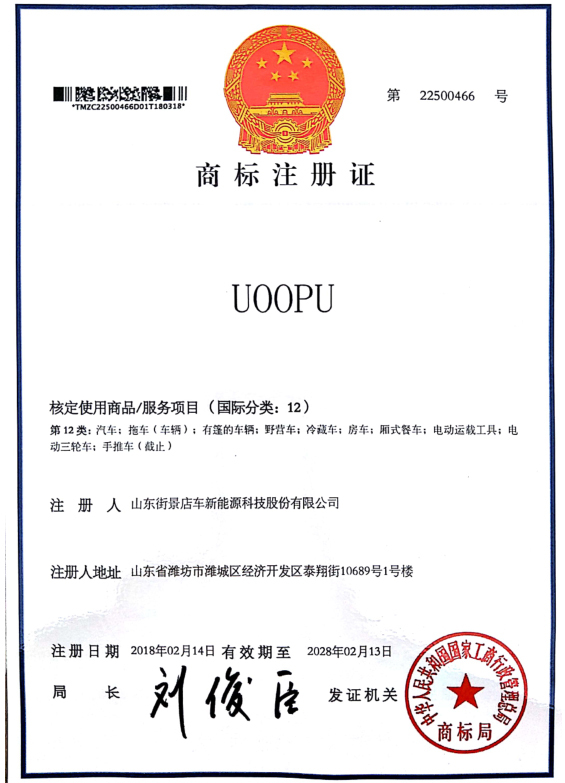 R And d and assembly of off-road sightseeing vehicles (mobile shop vehicles) within the scope of qualification.